The headquarters of “The New York Times.” Credit: Wikimedia Commons. “One meaning is, obviously, to remind staff that Hamas is violent—violent against both Israel and its own people,” explains executive director of CAMERA Andrea Levin. 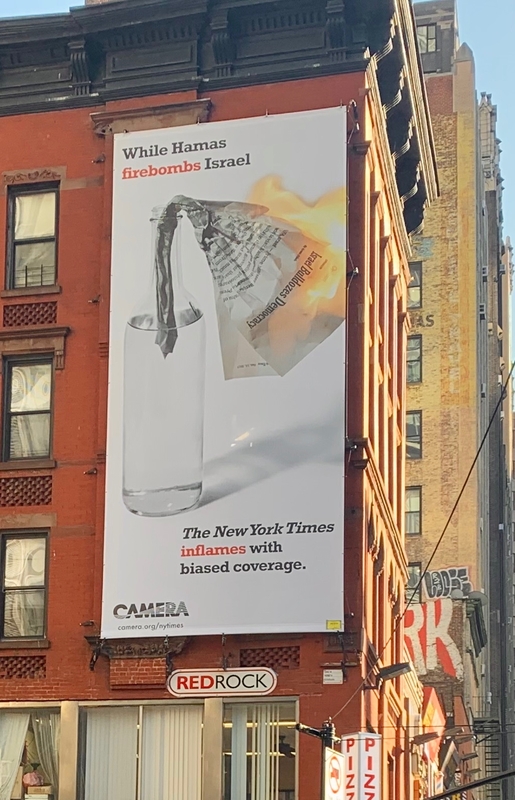 A giant billboard was unveiled this week outside the offices of The New York Times that criticizes the paper, its editors and staff of fomenting anti-Israel sentiment through its news coverage. Andrea Levin, executive director of CAMERA, which created the massive 35-foot billboard, says that the Molotov cocktail in the advertisement is a symbol with a double meaning. 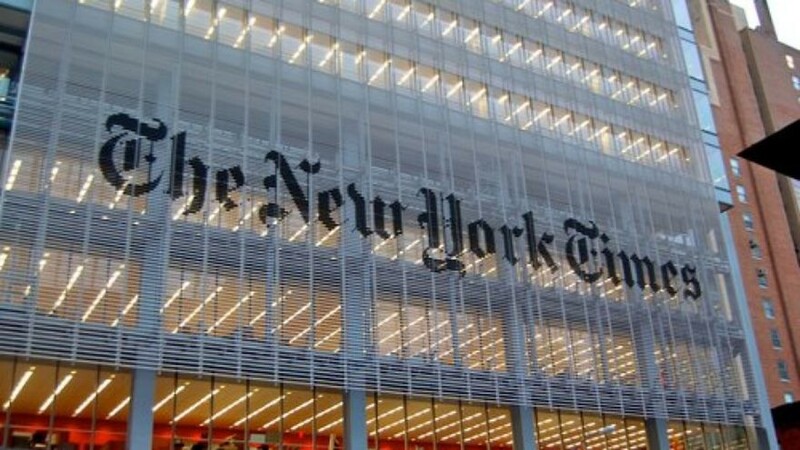 Levin also notes that The New York Times took almost two weeks to report about Hamas’s recent violent crackdown on their own people, which saw 70 Palestinian journalists targeted, according to reports on the ground. Hamas’s consistent pattern of human-rights abuse has led observers to question why mainstream media outlets like the Times fail to report regularly on Hamas’s oppression of its own citizens. CAMERA has employed billboard campaigns in the past in New York City and across the metropolitan area, informing millions of people about biased coverage in the Times. The organization says that the current billboard is seen by around 100,000 people per day and will run for at least six months.